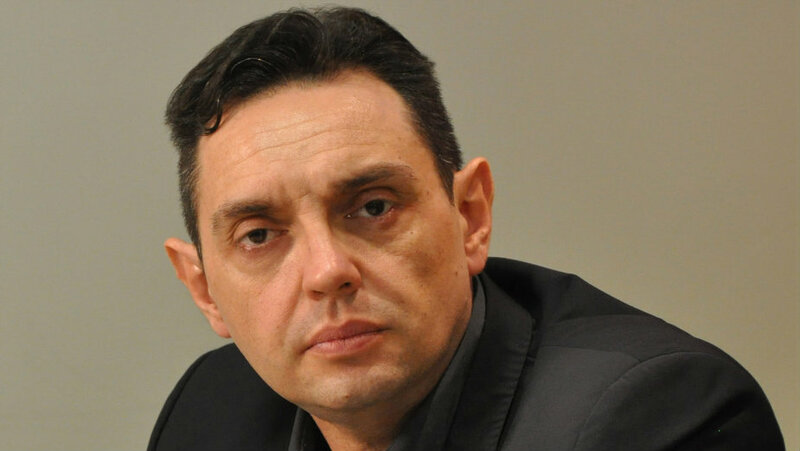 Serbia’s minister for labor, employment, war veterans and social issues announced today that he would demand from the government to adopt “more concrete measures” in order to prevent an “uncontrolled influx of migrants” into the country. Minister Aleksandar Vulin, who is also in charge for migrants and refugees issues, also suggested installing “certain impediments”. Vulin specified that he would raise the issue as early as prime minister Aleksandar Vucic returns from his three-day visit to France. Vucic went to France today. “It is time to propose to the premier some more drastic measures taking into account that the structure of the migrants has been changed and that more and more economic migrants are among them. We have military and police deployed at the borders, but maybe installing barriers and certain impediments could be among the solution for reducing the number of migrants”, Belgrade media quoted Vulin as saying. In his words, Serbia “cannot be a country where migrants can come, but cannot go out from it”. “Economic migrants cannot go anywhere within Europe, and therefore they cannot stay in Serbia”, Vulin underlined. In July, Vulin said that country should be “ready for all eventualities”. “We will protect our borders and we will act with migrants in human and organized manner as it was the case until now. However, we would take into account our own interests”, Vulin told reporters at the time. He then specified that government would strive so that Serbian borders with Bulgaria and FYROM be “maximally protected”. That meant that “all migrations should be conducted in entirety through legal border crossings”.